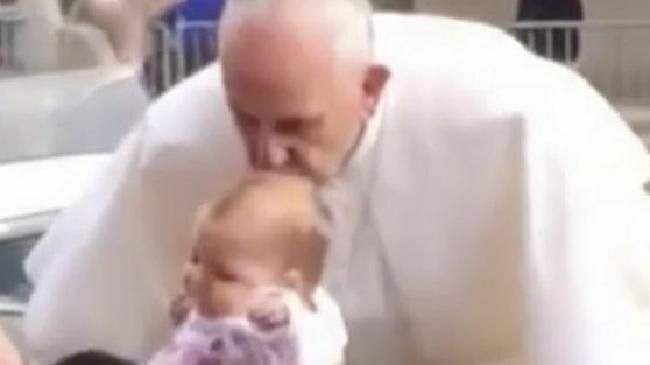 A TERMINALLY ill infant has made a miraculous recovery after being kissed on the head by Pope Francis. 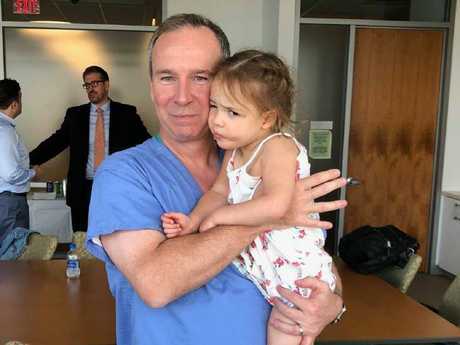 Gianna Masciantonio was just one-year-old in 2015, when she was plucked from a crowd by a Swiss Guard after the Pontiff stopped his motorcade during a parade in Philadelphia in the US. 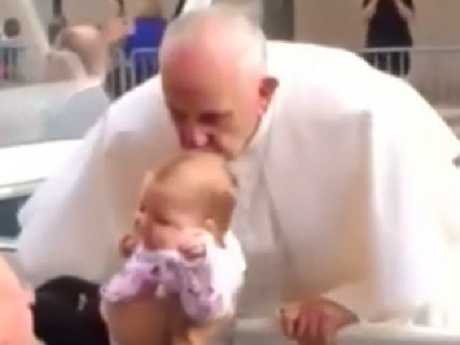 Unbeknown to the Pope, he planted the kiss just centimetres from a brain tumour Gianna had been fighting since birth. "At that time, there was no hope for us at all,"
"We were praying for a miracle because that's the only hope we had. The miracle was the pope's kiss. God showed us that he's been with us." Gianna had been diagnosed with a brain stem tumour shortly after she was born in 2014, and it was not expected she would live past her first birthday. The little girl had spent the first eight months of her life in palliative care, with her family, expecting the worst, making funeral plans. But since what was dubbed the "Miracle on Market St" occurred, young Gianna has defied all odds, going from strength to strength. In January 2016, it was reported she was making progress and undergoing chemotherapy once a month. And in November last year, the tumour it was revealed the tumour had shrunk so much, she had been chemo-free for a year. Now aged three, her family says the tumour has disappeared. 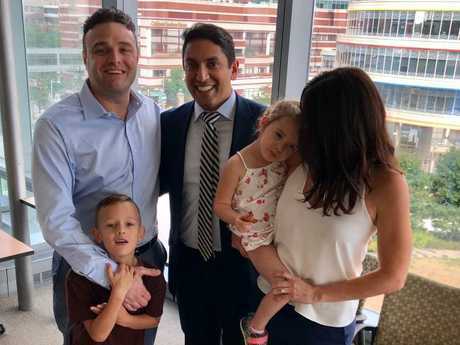 The family sung praise for the Children's Hospital of Philadelphia where Gianna was treated, and also credit their faith, CBS News reported. "She's doing great. She's going to attend preschool this fall. She's so excited." Her doctor, Amish Shah, said she'd "blown our expectations out of the water". "From what I thought at age four months when I operated on her, if you would have told me she'd be running around getting ready to start preschool, I would have told you you'd be crazy. It just wouldn't happen," said chief of paediatric neurosurgery at Children's Hospital of Philadelphia Dr Phillip Storm. Gianna was found to have histiocytosis months after the "miracle" kiss occurred. "It ended up being a very rare form of histiocytosis, a blood disease where Gianna's blood cells were attacking her most vital organ, her brain stem," Ms Masciantonio told The Inquirer in 2017. It's believed disorder former the tumour in the girl's head. The family has donated US$50,000 ($A68,4000) to the Children's Hospital of Philadelphia. "This place (the hospital) is so special to us in our heart," said Gianna's father Joey Masciantonio. "What they did for Gianna is something for us that no amount of money could ever repay, but we just want to help the kids."